When we arrived in Lakewood, New Jersey on July 12, 2016 to pick up our Airstream, we had a couple of hours to sit down and work before we were able to pick up our new home. So, we searched for a coffee shop and found, The French Press at 95 E Kennedy Blvd in Lakewood, NJ. They were still receiving shipments of furniture and were barely open when we arrived. We settled into a spot and the friendly proprietor suggested brews custom to our tastes. 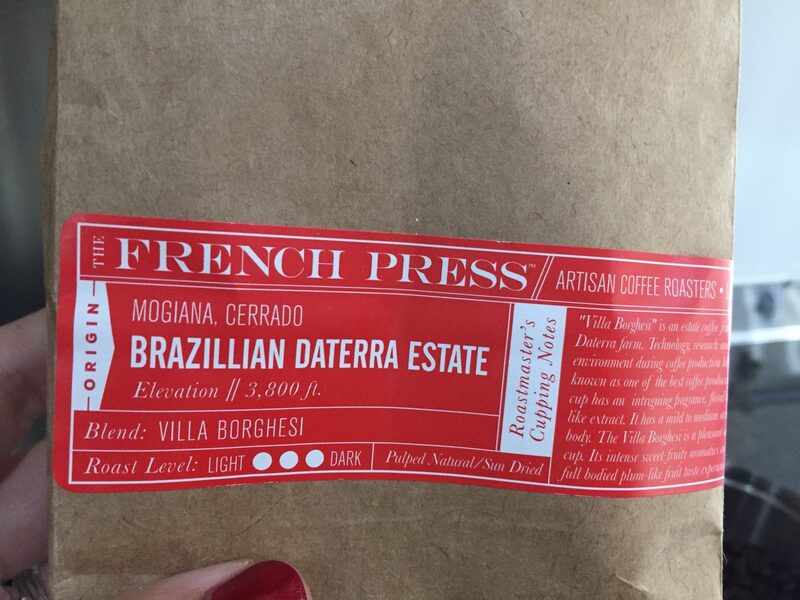 We left with a bag of Brazillian Daterra Estate beans. As we settled in to our new home on wheels, we also settled in to this delicious coffee. It was rich with a slight almond nuttiness with a creamy finish. We were devastated when we finished the bag. Their coffee is available online. Before Nathan and I left town to go get our shiny new home on wheels in July, I paid a visit to my clients and friends at Leap Coffee Roasters for official business and official coffee drinking business. Nathan and I both adore their coffee and the people (Gary, Eric and Kari). Leap Coffee Roasters recently launched a new artist series where they support local artists by having them design a label for a coffee inspired by the artist. So, I picked up militant optimist. 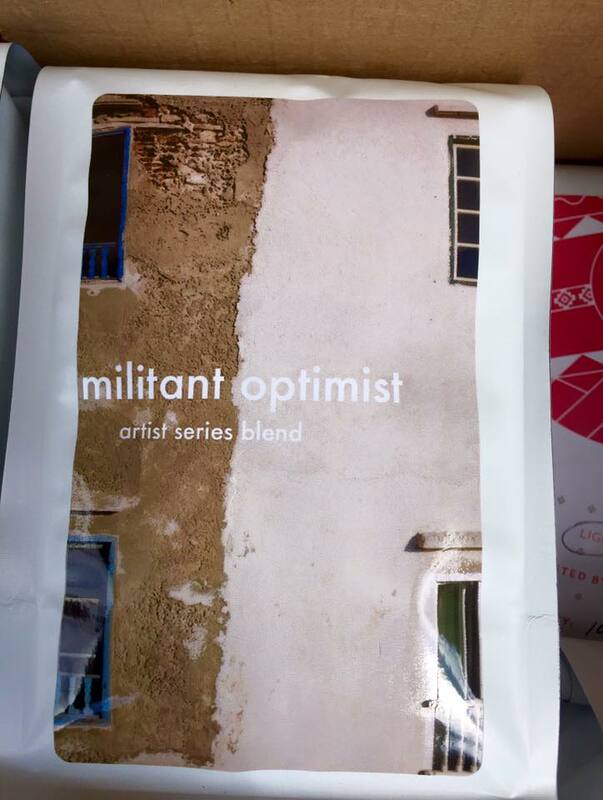 militant optimist is a blended, medium-roast coffee that has a sweet, smooth finish. militant optimist is inspired by romy owens, who is an Oklahoma City-based artist and curator that creates fantastical fiber arts pieces. Read more about her, here.